Alpha Guardian is Peace of Mind. Alpha Guardian is a company built on core values. We take immense pride in our products and the people that back them. With a focus on continual improvement, we believe in developing our team to their highest potential in order to manufacture the best possible safes to protect individual’s most prized possessions. Alpha Guardian has positioned itself to be the category champion and a complete solution in the safe, vault, and secure storage industry. 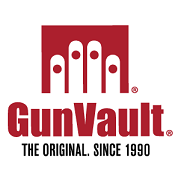 With industry-leading brands dating back to 1965, they all come together day in and day out to help the Company reach its goal of “A Safe in Every Home.” Alpha Guardian champions the ability to offer a robust portfolio of products including home safes, quick access gun vaults, security cabinets, and garage storage and organization. “If you have great people, great thinking will follow. 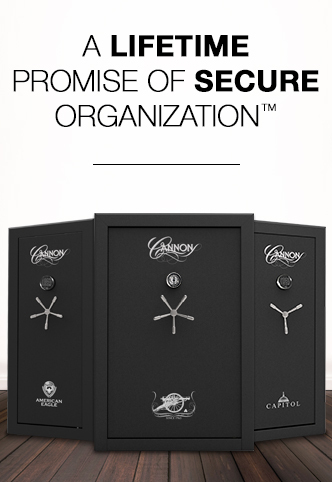 Cannon Safe provides quality, affordable safes and has done so for over a half of century. Since opening in 1965, our focus has been on people. We believe in developing our team to their highest potential in order to manufacture the best possible safes to protect your most prized possessions. We offer elegance without compromise. You can depend on Cannon to provide greater security advantages as other safe companies, at a fraction of the cost. Imagine coming home to find your home—your sanctuary from the outside world—violated by a burglar, consumed by fire, or destroyed by natural disaster. There are few things that have such a traumatic impact on one’s peace of mind. Which is why we at Cannon dwell on the very possibility with every safe we design, build, and ultimately, stand behind. We want to make sure that should the unthinkable ever happen to you, that your most precious valuables will always be as you left them—safe and secure. And while we build our safes with worst-case scenarios in mind, they are really designed to be part of your everyday life. Each offers supreme protection from fire and theft and affords easy access to your valuables day-in and day-out. Cannon is committed to making sure every household has a way of protecting its valuables while enjoying more peace of mind. A Safe in Every Home™. 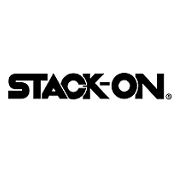 At Cannon Safe we are continually improving the efficiency of our manufacturing and business processes in order to be able to provide the public with a secure and affordable product that satisfies their needs and exceeds their expectations. For over 50 years, we have been delivering peace of mind. Our vision is to leave the world better each day than the day before. This requires us to focus on continual improvement as a company, as a manufacturer, and as individuals.